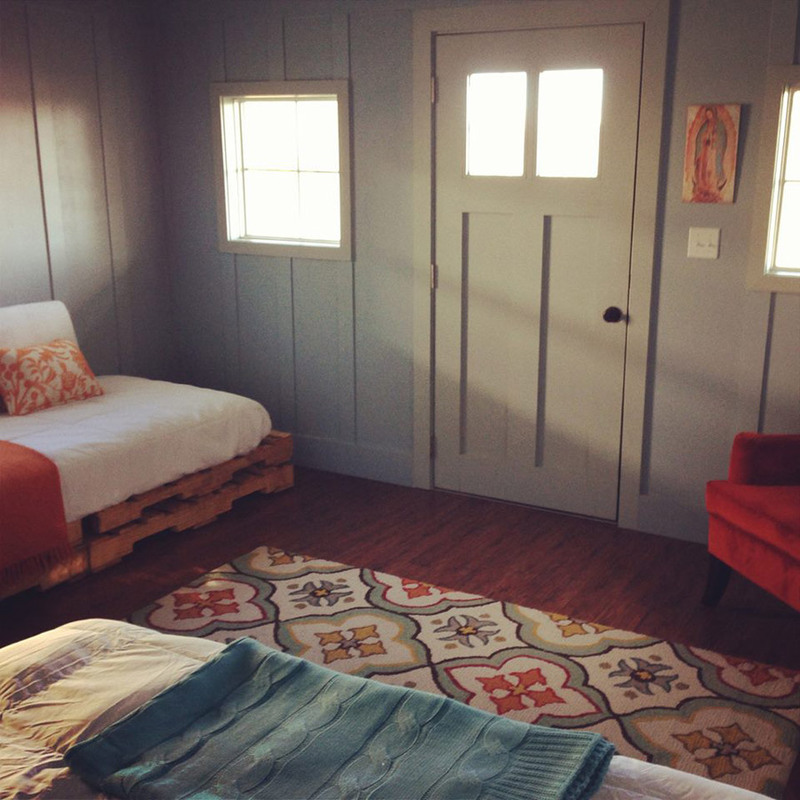 A 16×26 cottage in South Texas. Designed by Kanga Room Systems. Would like to see the bathroom too! Would love to see the total plan & more pics including the bathroom. Can a washer & dryer fit in too.? Are there plans available for this unit in Texas? Love it! 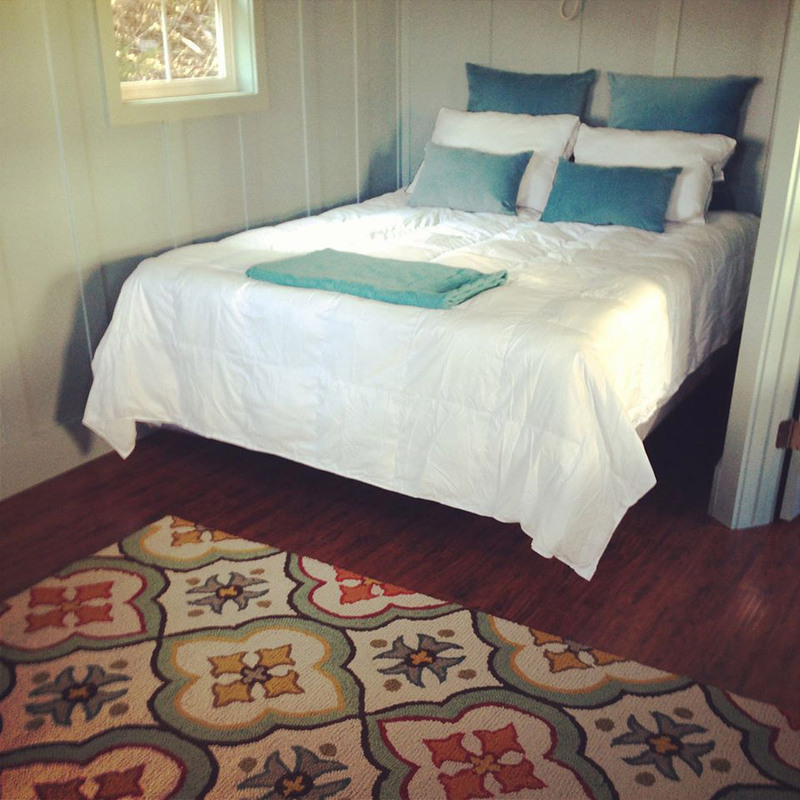 Since I’m looking for a tiny home plan for my ‘senior’ years, I want the bedroom on the main floor. 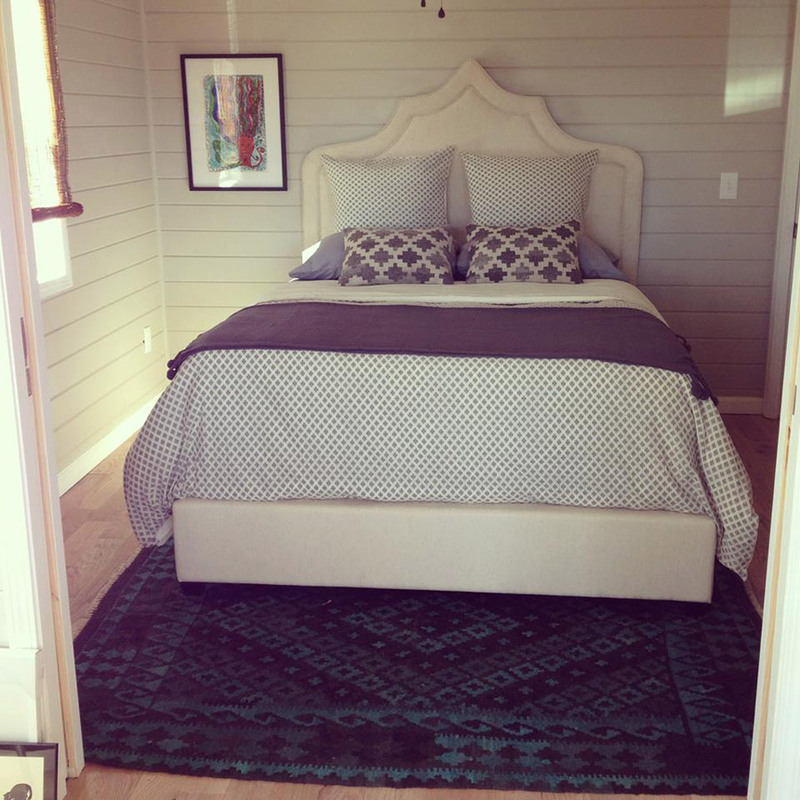 This plan is definitely on the short list if I build a stationary home instead of on a trailer. 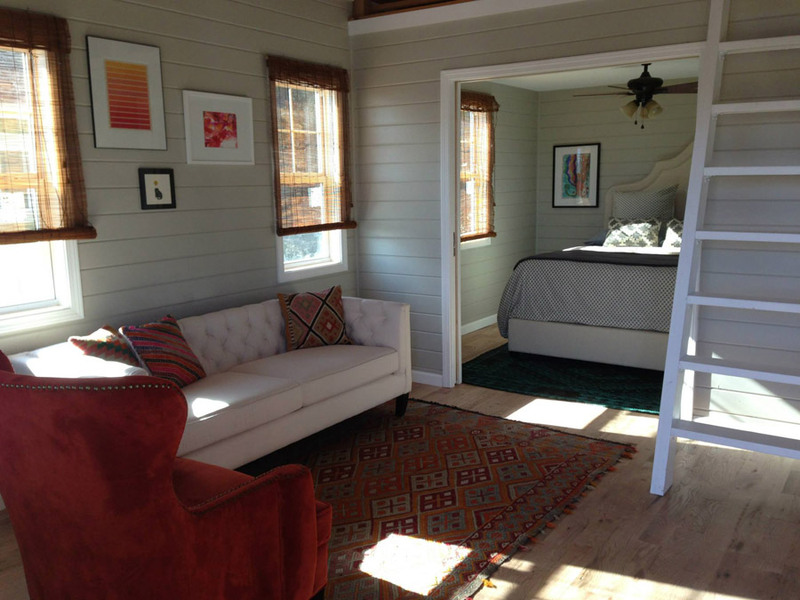 Most of the tiny houses I’ve seen have a loft bed – I’ve been on the hunt for a house with one level living for my retirement house and this fits the bill in layout!! I’d love to see more of this house and am wondering if it could be retrofitted for Minnesota winters. Is this house for sale? Or just show? There is no way to reach the owner? Or find out where in South Texas this is? 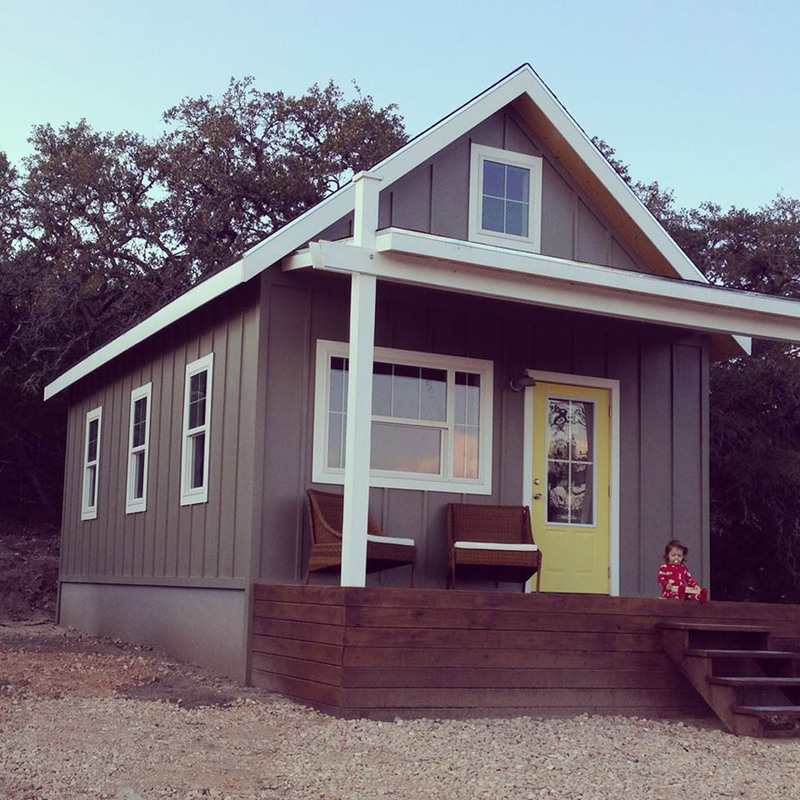 I like it, and plan to have a tiny house, maybe just outside of Austin? 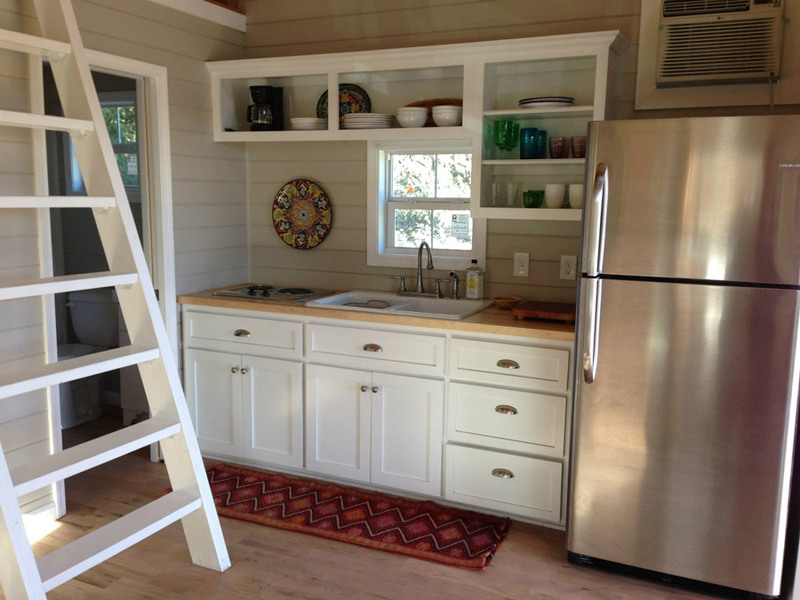 Love this cottage, but I would have different cabinets in the kitchen and no upstairs bedrooms! I would like to have it all one level and have a little laundry room added maybe next to bathroom! Is there anyway I might be able to get a set of plans for this design? This is awesome! I super love it! A dream house! I love this one especially with a bedroom downstairs. I’m getting up there in age so that makes a big difference. Do you have other ones. I would want one in Wyoming – is there a way to get them there or are there dealerships there? Thank you for your time. This House is awesome ,like it. Do you need a permit to build this tiny house? Please, I need to know. Love it, But I need a bedroom down stairs at my age. what’s included in a package and can you make it off the grid? will there be a sleeping loft also? what size in footage is it? and I’d like to see the bathroom too. Omg this looks amazing !! How much would something like this cost actually?? Would love the plans for this one. Is there some way to get them or something similar? Love it, especially the bedroom downstairs. There is no way this is the same place? Very neat! I would love to see the dining area. Obviously, this is a HIT especially for those of us who’re older and want the bedroom on the first floor! Still havent seen though…where are the plans…how can we get them? The rest of the pic’s??? Is anyone seeing these comments? Thank you!